FIC has announced a new netbook which known as SVE00. The netbook has been designed to target young generation that focuses in socializing and education. The system is featured with Intel’s Pine Trail platform with 1.66GHz Atom processor. Featured with a 10.1-inch LED display with 1024 x 600 resolutions, the SVE00 is also equipped with a 1.3-megapixel webcam and a microphone. It boasts with 1GB of RAM that can be supported up to 2GB, has built-in two USB ports, VGA-out, a 4-in-1 card reader, two security lock, Push-push type SIM slot and Multi-Touch Glide Pad. Besides, it comes with a 2.5-inch HDD that provides up to 320GB storage spaces or 2.5-inch SSD that provides up to 32GB storage spaces. In addition, the users also can option for Bluetooth, WiMAX or HSDPA. 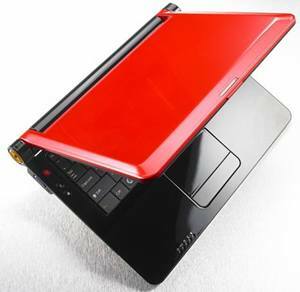 Preloaded with Windows XP, Windows 7 or Linux, the SVE00 comes with a 3-cell battery and weighs about 1.2kg. The netbook is available in white and red.